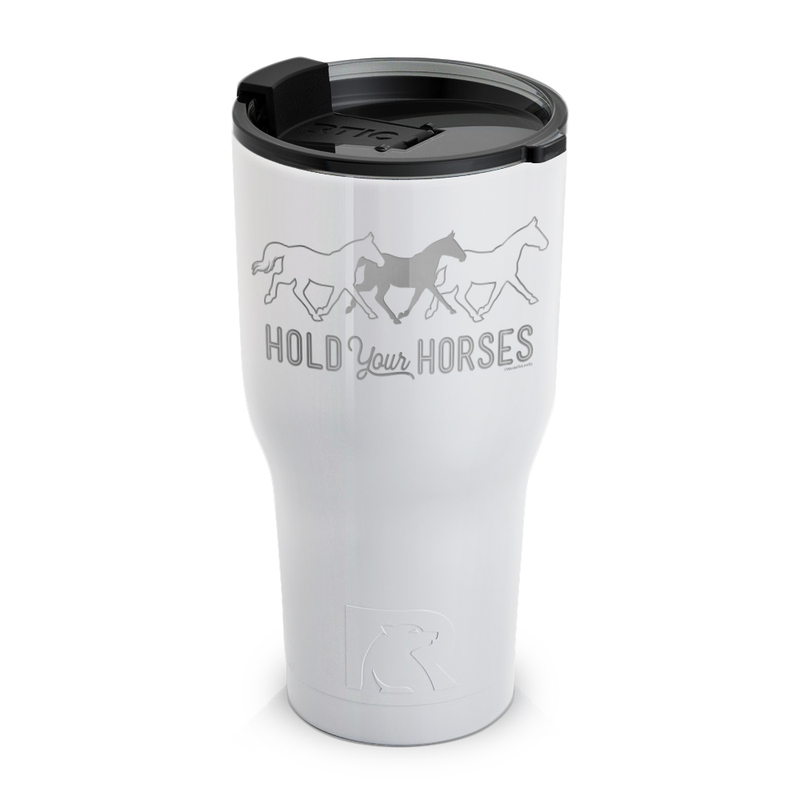 Get your morning off to a running start with "Hold Your Horses" etched into 30 ounce double wall stainless steel RTIC® vacuum insulated tumblers. Hold your drink's hot or cold temperature for hours while you race through your day! Hand wash only.